Is there a better way to do one line quotes or do you guys hand do the brackjets? But after that, unless you want to make Star Control games indefinitely, allowing the rights you hold to cede back to them might be a good chip to trade during a settlement negotiation in exchange for something you want. Stardock has many years of Star Control expansion in mind. Origins is just the start of the new series. However, you in particular filed against them first, which crosses the line from silly requests to a state of open war. Thus, I do not see how you gave them the same chance to cease and desist as they gave you. They refused to cease and desist. That is in the court documents already. As a counter-example, Stardock re-branded Super-Melee to Fleet Battles. That does not mean we have conceded the right to use Super-Melee in the future. Likewise, we have been willing to make numerous concessions in the hopes that we can come together so that their game can get made. Where we can't concede is on the trademark issue. Is it no longer using Melnorme and Arilou? This is a loaded question. Stardock's position is that words can only be protected by trademark not copyright and that Melnorme, Arilou, etc. You know all this of course. Someone, not necessarily Paul and Fred, may have a copyright to the way the Melnorme and Arilou were *expressed* in Star Control 2.
violates a copyright they hold they have nothing to complain about. Like with Super-Melee, that doesn't mean Stardock has conceded this. We are simply willing to wait for a court to decide (or a future settlement) before using them. But committing to not creating or hosting infringing content on the sites you do have the power to control doesn't seem like too much of a burden, especially if for fan content it only had to be done on-notice and not proactively. All Stardock sites have DMCA setups already (we've long had WinCustomize.com. If Paul and Fred want to DMCA their own fans, they can do that. Then I think you made a serious error in 2013: You apparently purchased the trademark without first confirming that Paul and Fred were available and interested in contributing to your efforts. Consequently, your attempts to reinforce the connection between SC:O and the classic series are serving no useful purpose: New fans of your game don't care, and a great many of the old ones will consider it illegitimate without P&F's blessing, and will resent you (and not purchase SC:O) as a result. I think you greatly overestimate the value Paul and Fred could provide to the project. As a super-fan, their endorsement meant a great deal to me. I did, after all, make game development a career partly because of Paul Reiche. But the hard-core fan, like us here, are a tiny, tiny percent of the market. Their approval of what we were doing meant a great deal to me personally. But I'm in a tiny minority. The value of the trademark was completely about the awareness it would generate. Its association with the classic Star Control games is valuable. That is the whole point of acquiring an existing trademark like Star Control. While no doubt some fans would have been upset if Glen A. Larson didn't approve of the new BSG, most fans wouldn't have cared. Selecting text then pressing the insert quote button seems to add the correct tags before and after the selection (though I've been doing it by hand so far). Stardock's position is that words can only be protected by trademark not copyright and that Melnorme, Arilou, etc. You know all this of course. We (I) do, but think it is wrong, or at least imprecise. Words can be protected by trademark, but only if they are used as trademarks; and words (including names) can be part of a copyright, even if they cannot be protected in isolation. That said, we have removed using those names in the game. That is very promising news. Where we can't concede is on the trademark issue. If P&F were trying to call their game "Star Control", I'd agree with you. But it seems to me that you should not try to require them to get a trademark license to say that GotP continues the story of SC2. That is information that they have a legitimate reason to be able to advertise in order to avoid consumer confusion. As a counter-example, Stardock re-branded Super-Melee to Fleet Battles. That does not mean we have conceded the right to use Super-Melee in the future. As near as I can tell, P&F's attempt to claim control of "Super-Melee" stemmed from them mixing up copyrights with (expired) contract rights, so they never had a leg to stand on here. With that said, "Hyper-Melee" is uncontested, and probably works just as well in any context. As long as Stardock isn't making infringing content itself (or components that would easily become infringing content), that seems like a reasonable position. Blacklisting the SC2 race names from being used in the game might also be a simple and practical measure to demonstrate reasonable efforts. I disagree on two levels. First, I think that Accolade's making SC3 without P&F, and its dismal reception, heightened awareness of how important P&F were; it demonstrated that even with the trademark and the rights to the SC1&2 copyrights, a SC game without P&F's input just wasn't the same. Second, I think that with a story-driven game, especially one left on a narrative hook like SC2 was, people buy the game because they want to see more about what happens in the setting. Imagine if Time Warner tried to make a new "Harry Potter" movie using only its trademarks, without licensing the copyright to the setting and story from J.K. Rowling? Even if, as your theory of trademark would have us believe, they could put characters of the same names in the movie, how many of the fans would consider it legitimate? I would content that you could probably get away with this in an Action video game...and maybe even with a 4X game, where the setting is more of a bare framework on which to hang sets of game stats. But in an RPG, it's more like a movie or novel; the game's essence is much more tightly tied to the copyrightable elements, such that their lack makes the game fundamentally not what it had been; it no longer merits the goodwill of the brand. So I think that Stardock would lose little by considering SC:O to be a full reboot of the brand, with no need to force an association with the prior games. 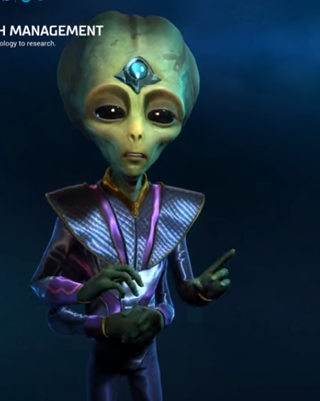 It could still be a good game in its own rights; it just wouldn't be a "Star Control" game in the same sense that the prior games were; it would be a new sort of "Star Control"; one uniquely tied to Stardock. And that's okay. If the old "Star Control" trademark were to be cancelled, and a new one issued based on SC:O, I really doubt that you could find a single fan who would decide not to buy it as a consequence. And if that's the case, are you really getting a good return on the money you're diverting to pay the lawyers? If the old "Star Control" trademark were to be cancelled, and a new one issued based on SC:O, I really doubt that you could find a single fan who would decide not to buy it as a consequence. And if that's the case, are you really getting a good return on the money you're diverting to pay the lawyers? By that argument, Paul and Fred should just drop their claims. Why not just get rid of the concept of IP entirely? Eliminate spending money on lawyers entirely. You're fabricating a strawman argument to kick. My argument was that this particular trademark could be easily replaced without any practical consequences. How is SC:O any worse off if it's protected by a new "Star Control" trademark instead of the old one? That's not a strawman. You are arguing that we should give up something based on whether its value exceeds the cost to keep it. Correct? By that argument, what justification do Paul and Fred have then? We actually have a registered trademark we're defending. We have no interest in using any copyrighted material they might have so why not ask them the same question. We just want them to quit infringing on our trademark. As I'm sure you remember, on March 18th, F&P posted what they claimed was a paraphrased version of a settlement offer from Stardock. Stardock swiftly decried F&P's post as "inaccurate" and a violation of "court mandated confidentiality" while adding the "essence" of an earlier settlement proposal to the Q+A. When F&P upped the ante by disseminating actual documents on March 24th, Stardock responded in kind by posting an original document to the Q+A. There was a conference before Judge Spero on March 28th, and he entered his Order Regarding Settlement Discussions on March 29th. Based upon this sequence of events I had assumed - perhaps unreasonably - that, during the conference, Stardock's attorneys had requested the gag order to prevent further shenanigans by F&P. Is that not what happened? and Paul and Fred's attorneys have complained when I've even made suggestions of what might be acceptable. This criticism strikes me as unfair. Paul and Fred's attorneys are officers of the court and have a job to do. If you feel that their complaints were overreaching, you have a team of professionals at your disposal who can fight back. Regardless of which party moved for a gag order (and especially if it was entered sua sponte), it is Judge Spero's Order now. It has nothing to do with Paul and Fred's attorneys. What was expected was an order preventing parties from leaking to the public communications *between the parties* that were designated as being confidential. However, in practice, it has resulted in complaints by PF's attorneys if I even say something akin to "I'd be okay with X" publicly. This isn't a criticism. It is what it is. Which, like I said, is a bummer because I personally believe this all would have been settled by now if we were allowed to spitball ideas publicly. In what way would spitballing ideas publicly possibly enable a settlement? You aren't negotiating with the public -- we have no say in the matter. If you have an offer, you can still bring it to the opposing side of the dispute. Speaking publicly serves no real purpose other than trying to do PR for your company, which is fine, but there isn't any relevance here to a legal conclusion. I think he means actually speaking face-to-face. Be it publicly or not. As far as I know any time Brad has tried to reach out to them he's only received a response from their lawyer. He could try to reach out to Paul on this forum. He is active, to an extent, though I don't think either of their lawyers would appreciate that. I’m not talking about Stardock (or PF) posting proposals. I am talking about Stardock (or PF) being able to participate in any of the many, many discussions and opine on various ideas that are posted to speed up the process. If you think lawyers “spitball” proposals back and forth you would be mistaken. It’s a slow, arduous process. If you look back at the start of all this, I suggested PF and I talk to each other. I think you might be surprised at how much the system works to prevent direct discussions. I’m not talking about Stardock (or PF) posting proposals. I am talking about Stardock (or PF) being able to participate in any of the many, many discussions and opine on various ideas that are posted to speed up the process. If you think lawyers “spitball” proposals back and forth you would be mistaken. It’s a slow, arduous process. Yeah, that does seem like a huge shame. I don't think anyone here would object to you reaching a settlement with F&P as soon as possible. I expected a lot from the settlement conference on May 14 (as did many other posters here, as far as I can remember), and was disappointed when you said there was no progress after the conference. I would welcome any news that things are looking up. Meanwhile, SCO's latest trailer shows the "Crimson Corporation" logo along with Stardock's at the end. Now if what F&P are saying in their counterclaim is correct (that the fictional Crimson Corporation is subject to copyright and not trademark), then the existence of a real-life Crimson Corporation shouldn't block having a Crimson Corporation in GotP, and it's more of an homage than anything else, especially since the fictional Crimson Corporation predates the real-life one by 26 years. It's also a nice bit of self-irony from Stardock, since it was F&P who compared Stardock to the Crimson Corporation in the first place. or have Stardock be the publisher and not even need to worry about paying for the TM. At this point, if Stardock were the publisher of Ghosts of the Precursors, I'd seriously reconsider whether I actually want to buy even that game. The settlement conference was not what one might expect. The two parties were kept in different rooms. The judge, who is actually quite famous from the Apple/Samsung case, would then talk to each party and convey what the other said. Other than a few polite greetings we never got to talk to each other. I’m sure the courts have a rationale for the way they do it. But I was expecting the parties to basically be put into a room and hammer it out. It's also a nice bit of self-irony from Stardock, since it was F&P who compared Stardock to the Crimson Corporation in the first place. Well, yes, I like this ironic touch, but at the same time it felt much like a "token trademark use". It can be argued either way, and it may even be both. In the end it'll still be a computer game telling a story. And nods to other works are rather common in games.